A couple weeks back Epic Games teased that a "big update" for Fortnite would be coming soon and include a number of tweaks/balances/QoL fixes, as well as a new "survival" mode. That update, titled "Survive the Storm," is here... at least, that was the original plan. [UPDATE]: Looks like the update went live just a few moments ago. Should be available to download now on PC, PS4, and Xbox One. Full patch notes can be found here. Epic put up a post in their forums yesterday afternoon that they've had to delay the release of the "Survive the Storm" update in order to address some stability issues that are causing problems. No exact timeframe was given for when this would be completed the update would go out, but later posts indicated that patch notes could go up today at some point and that the update wouldn't be too far behind that. We'll keep an eye out and update this story with more info once it's available. 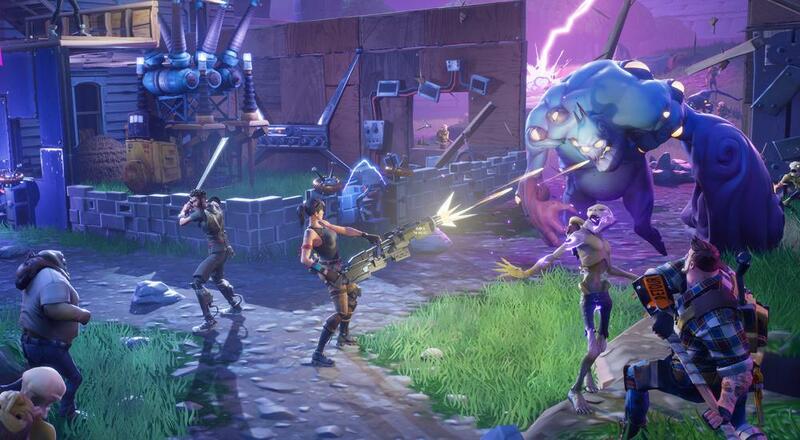 The biggest feature in the update is the new "Survive the Storm" mode that challenges players to work together and survive for a number of in-game days. Gather supplies and build your fort during the day, then buckle down and prepare to face an onslaught of Husks once nighttime rolls around. This mode will also feature special "Mutant Storms" that will modify the Husks we've all come to know and love by boosting their stats or applying other effects. Clearing these storms will give you and your teammates special tickets that can be redeemed for some new weapons. Unfortunately, it sounds like all of this stuff will only be available for a limited-time (likely this is due to Epic doing a kind of beta test of it), so if you want to hop in and check out, now is the time. Along with the new mode, new heroes and new defenders will be added to the game, though they also appear to be available for a limited time only. Fortnite is available now on PC, PlayStation 4, and Xbox One via paid Early Access. No word on when a full release will drop. Page created in 0.7320 seconds.